David and Corey just released part II of the ENDGAME article series today. If you haven’t read part I yet I highly recommend doing so. I won’t be posting the update in full as it is quite long and would take up a lot of space on my home blog page. 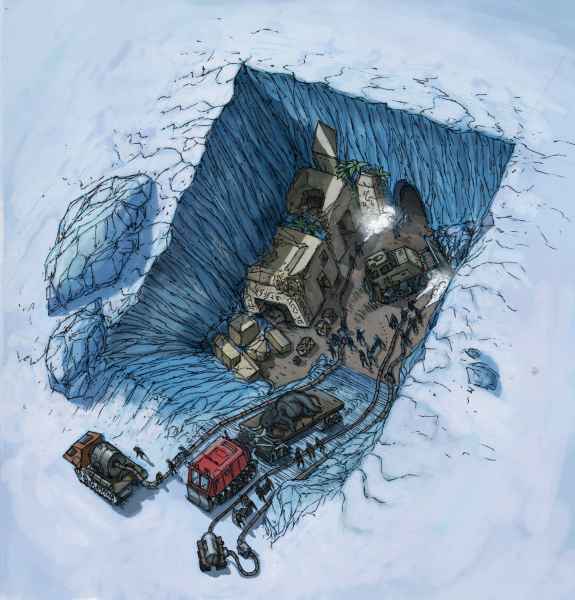 “My contacts in the SSP Alliance revealed that the Draco have finally allowed the US to excavate new Pre-Adamite archeological sites under the Antarctic ice. During I was able to observe the cosmic scene and noticed that the giant blue spheres were becoming notably more translucent. Corey: I have now had well over a dozen confirmations that indeed a HUGE F-ING discovery was made down in Antarctica. Corey: I just remembered that Ka’ Aree told me many people are having dreams of me teaching them in small classes in underground bases and in spaceships. (Note: It is interested that I just published my dream journal yesterday 12/10/2016 and in one of the dreams I had recently Corey was present while we watched these small beings wrapped in blankets go through an amazing transformation. There were other people there and we were in an underground base. This dream happened on November 18th, 2016. Looks like we are in for a wild ride soon, stay tuned everyone and much love!